Louise & David's October outdoor wedding was anything but ordinary. 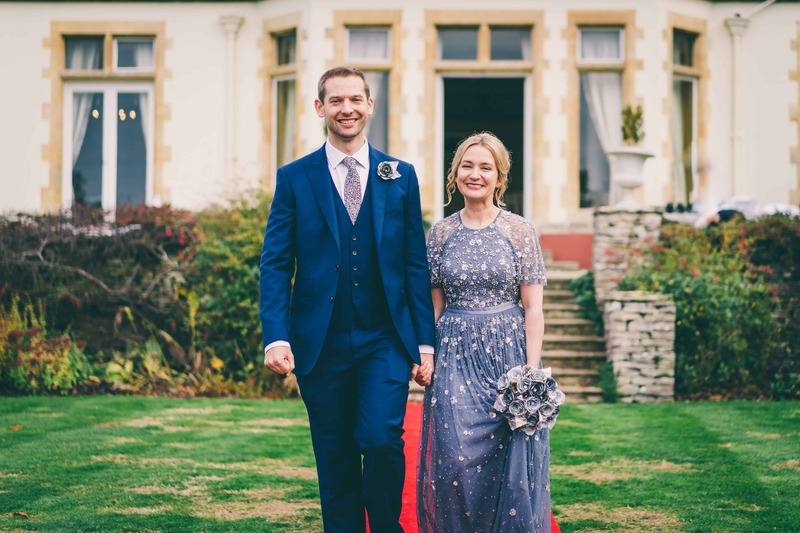 Louise looked gorgeous in a beautiful dusky blue dress from Needle & Thread and the pair walked hand in hand down the alter together smiling from side to side ready to say their vows. Rosie and Carl wanted a relaxed, summer outdoor wedding with lots of little personal touches. Escape room style favours and a late night samba band to name just a few! Lindsay and Peter's wedding at Boddington Church was full of wonderful moments, but on arrival at Glenfall House the day just got better and better. With a special dance, a pianist and a wisteria covered outdoor wedding ceremony, the day continued at their 'cosy luxurious home'. Glenfall House had only been open a few months when Jemma and Scott decided to tie the knot. But the beautiful gardens wowed them and the wedding was carefully scheduled to get the best of the weather for Jemma while not interrupting Scott's passion for sport! And what made couples book? Claire and her fiancé Nigel have been engaged 7 years and felt that January 2021 was an ideal time to tie the knot. "Having met at university we both now have established careers in vetenary nursing and as a supervisor - the time seems right. We saw Glenfall House and immediately fell in love with the gardens and views from the venue rooms. It was available for the date we wanted to get the best of the weather and our available budget. We just love how the house works well with our choices and colour theme. We've already booked the photographer, flowers, make-up and entertainment, plus we've got some firm ideas on the cake. If we had to sum up Glenfall House in 3 words they would be; Traditional, Inviting and Beautiful - we will definitely be recommending it to our friends!" Safeguarding Officer Emily and Aeronautical Software Engineer Tom met in a nightclub in Bristol. "After just 2 years we decided to get engaged and started looking for a venue for the wedding. 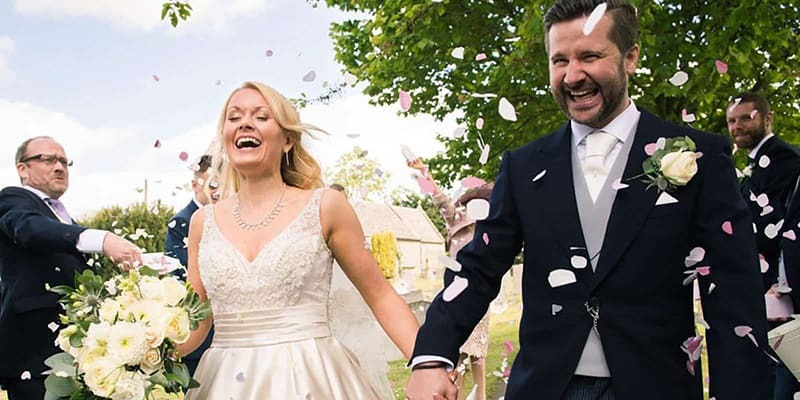 We fell in love with Glenfall House when we attended a 21st birthday here and loved even more how genuine and honest Dianne was when we asked her about the venue. The house and gardens are beautiful, clean, well-kept and bright. We've decided to choose winter which has allowed us to make savings more than anything, but we also got engaged in November so it worked out in our favour. For me, the thing I love most is how honest, open and genuine Dianne and the staff are. Nothing is a problem - they just helped us figure out solutions and bent over backwards to achieve everything. 3 words describe Glenfall House? Beautiful, Friendly and Welcoming. Yes, we'd recommend you to all of our friends. Absolutely." Mutual friends introduced Samantha and Ryan to each other even though they'd known of each other all the way through school. "Yes, it took us 9 years to get engaged! I'm a Personal Assistant and Ryan is a Surveyor - we thought it was about time we got married. We chose Glenfall House for the flexibility of how we want our day to run. There's beautiful gardens and plenty of space and we've chosen the school holidays so everyone can attend when it's (hopefully) going to be nice and warm! We've booked our entertainment early to secure the date, but the rest we can do as we go along. We'll definitely telling our friends." 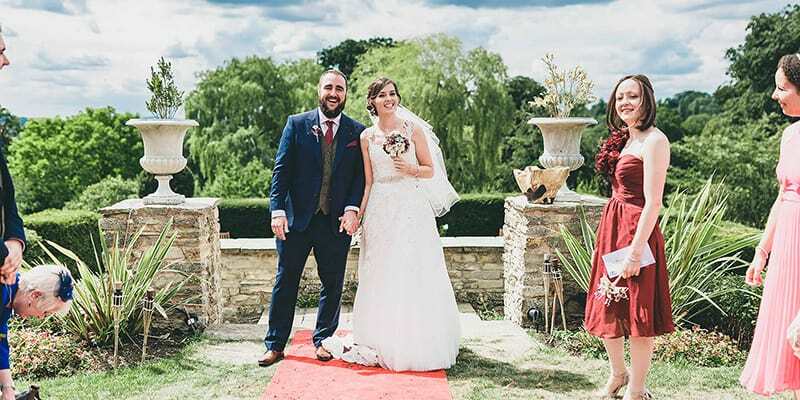 Jemma, a nurse and Scott who is a self-employed builder knew of Glenfall House having lived locally when they were younger - the chance to marry at the house was a dream come true. "After three and a half years Scott asked my terminally ill father's permission to marry me, only he knew of Scott's plans to propose. Glenfall House had only just opened its doors as a wedding venue and we were blown away by the House's granduer and the stunning grounds. We could see what Dianne's team were aspiring to achieve and how impassioned and nice they were - we didn’t hesitate in booking. 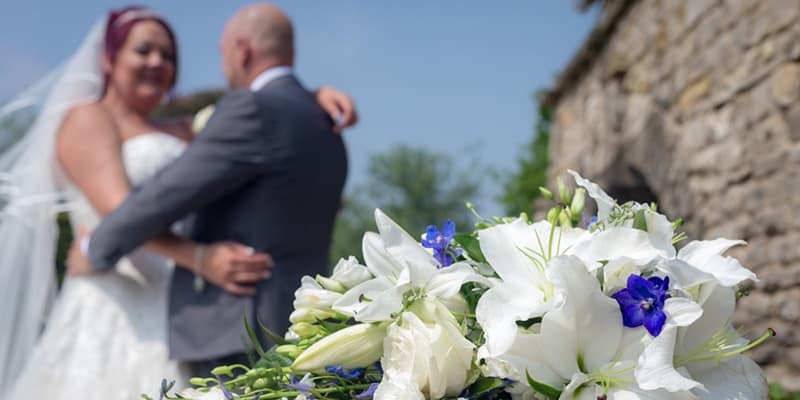 A big thing for us was that we could approach the team at any time in the run up to the wedding, which made everything as stress free as possible. Our 3 words are stunning, beautiful and perfect. Would we recommend Glenfall House to our friends? Without a doubt!"